This summer watch some of the top blockbuster movies without ever having to leave the house. 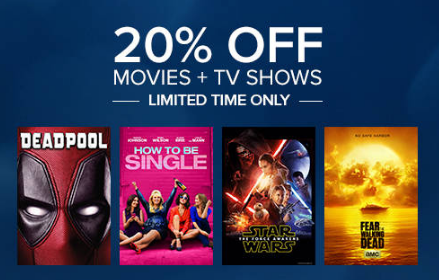 There is a new FandangoNOW coupon code that will let you stream any movie or TV show available and save 20% off the rental price. This coupon is good through 6/30/16 and is good once per account. 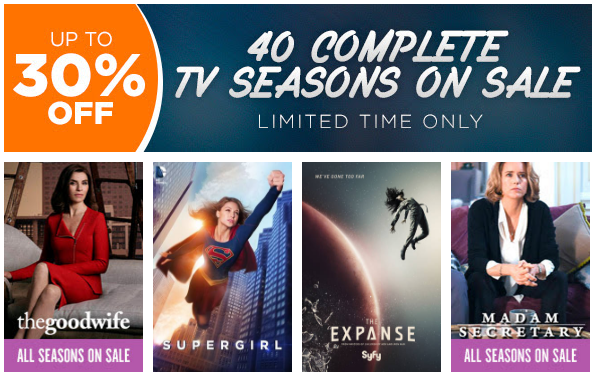 They are also currently running up to 30% off complete TV Seasons! That means you rent them all and can binge watch your favorite shows without the fear of them going away (ahem.. netflix). You can also pre-order seasons and new episodes will be added in your account as they become available.